Chilliwack is known for its country charm and rural beauty. While you are busy enjoying nature, your roof is busy keeping plant life out. As season’s change, leaves and branches fall with nowhere to go but onto your roof’s surface. Having clutter on your roof not only looks bad but it can be bad for its structural integrity as well. Everyday organic debris might not seem very menacing but it can quickly lead to moss growth and deterioration. 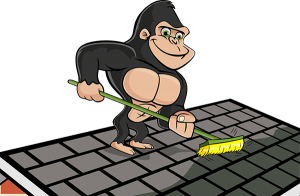 Our Gorilla technicians can put a stop to this before it starts with our Chilliwack roof cleaning and moss removal. The surface of your roof puts up with a lot throughout the year. Ugly weather may pass but the debris it leaves behind does not. The gradual slope of your roof allows for some things to roll off but not heavier items like sticks and branches. These heavier items trap others along with them. After a while, going up on your roof can look like taking a walk in the woods! As clutter collects, it traps moisture, allowing organic materials to rot, retaining moisture and allowing plant life to spread. This plant life can include the spread of moss or even plant growth on your roof’s surface or inside gutters. The first step to any successful property maintenance project is knowing what you are up against. 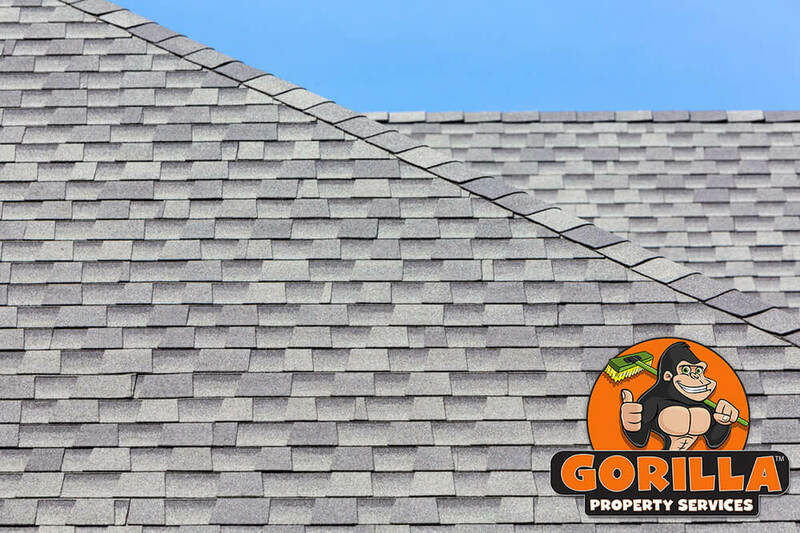 Our Gorillas asses the condition of your roof and provide before and after photos in order to keep you in the loop. We begin by removing clutter from the surface of the roof. Don’t worry – all materials are removed safely. You do not need to worry about branches flying! Once clutter is removed, our Gorillas can see fully the amount of moss, if any, that has attached itself to your roof. Our Gorillas operate carefully, removing moss from building materials in order to avoid damage. Moss might not seem like a threat to your home or business but as it retains moisture, it softens building materials around your roof. This is what makes careful removal so important. By using the wrong tools, you can strip away protective coatings or even create holes in the roof decking itself.